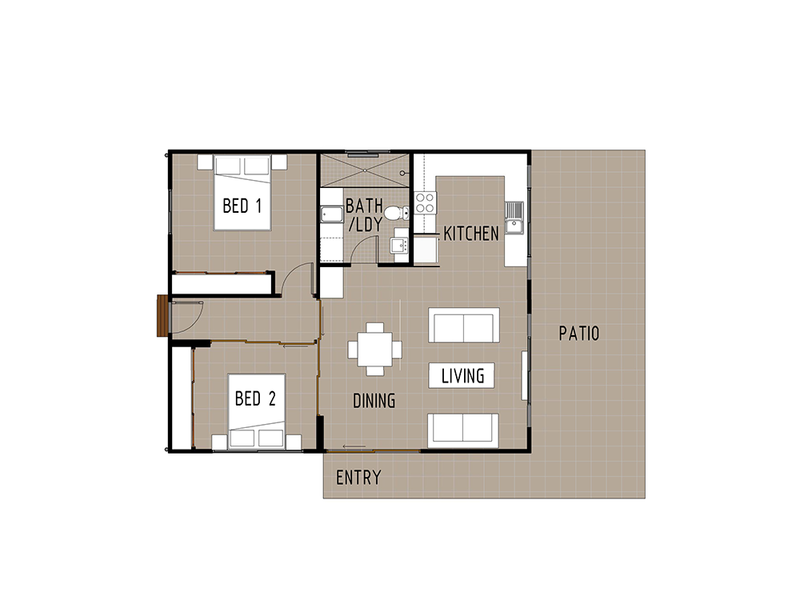 This granny flat features two bedrooms with built in robes and a single combined bathroom and laundry. A traditional U shaped kitchen is modernised by opening up to an open plan dining and living area. A large outdoor patio runs along the full length of the kitchen and living room with lots of windows to allow natural light to flow through to the flat. 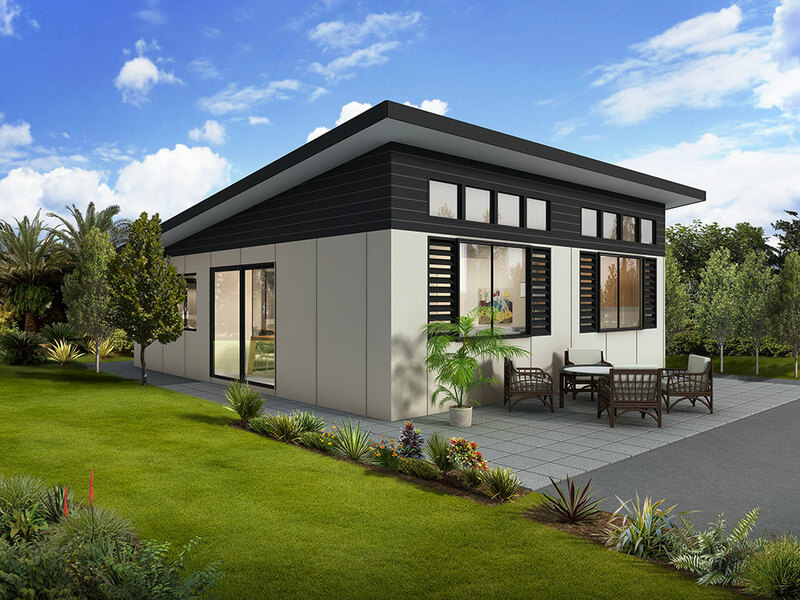 A modern slanted roof design with feature high windows to the living room and kitchen brings in even more natural light as well as giving this granny flat a unique and modern look.